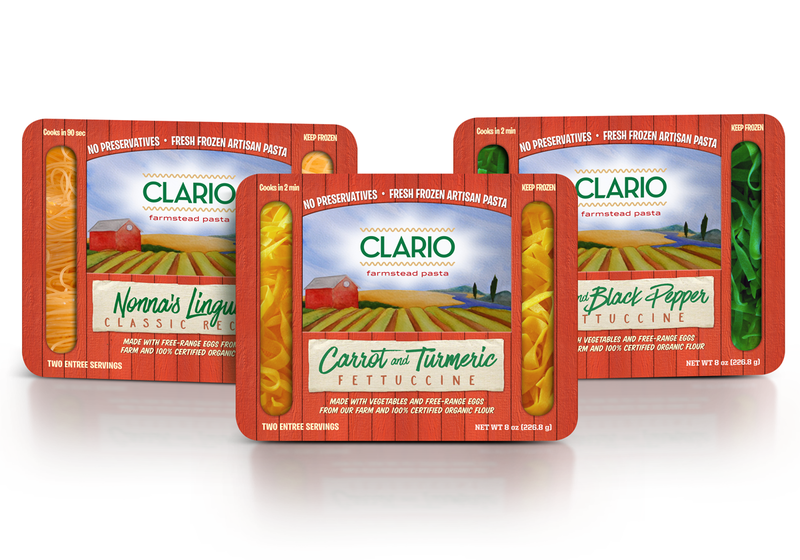 Clario Farms artisan fresh frozen pasta uses the highest quality select flours – durum, semolina, organic, and when possible, Wisconsin grown. Then we use the freshest eggs laid by our true free-range chickens who in addition to foraging a wide spectrum of nutrition on the pastures, are fed the highest quality organic feed. There truly is nothing like farmstead eggs, and we think they are the key factor in the creation of these superior foods. Next – we introduce things like fresh herbs, garlic and vegetables from Clario Farms or organic spices into the mix. 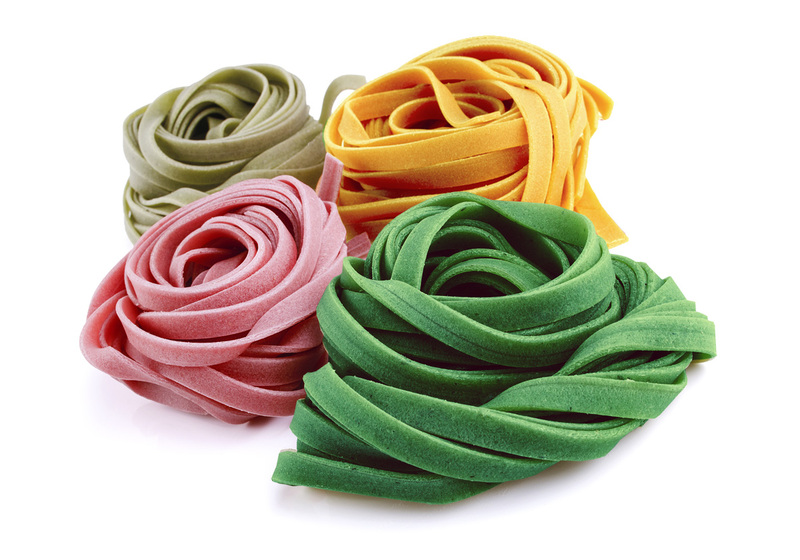 These are minimally processed, then pureed and blended into the pasta dough. 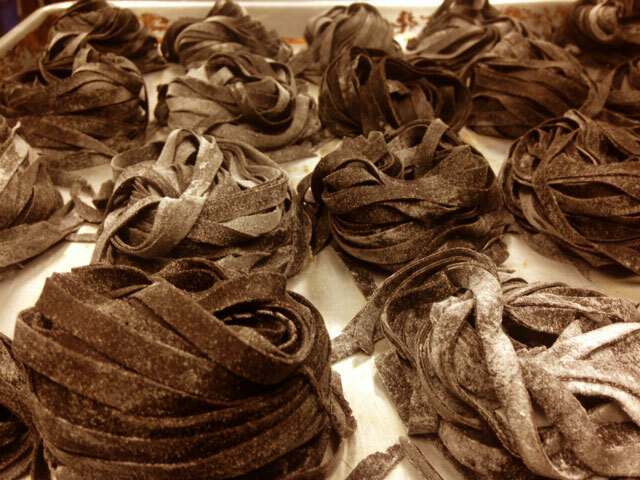 The pasta is cut and packaged by hand, and popped into our deep freezer to lock in the freshness. We are always coming up with creative new recipes that are only available at farmers markets or by special order. Clario Farms has distribution of its most popular recipes in Wisconsin supermarkets and other select outlets. Visit our retail page for the information on which flavors are available, and the retailers that are carrying them. Clario Farms is constantly coming up with new recipes and specialty seasonal offerings. These limited edition products are only available at Farm Market and other in-person venues. For information on the kind of flavors you will find at the farmers markets, click to visit our market and special orders page.